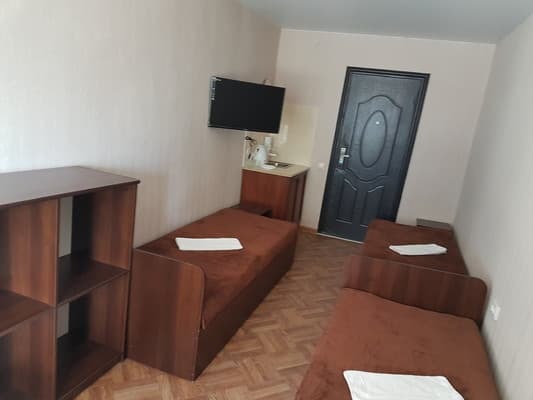 Hotel "Beach" is located in the very center of Koblevo, 20 m from the sea, close to restaurants, cafes and entertainment centers for children and adults. The rooms provide everything for guests staying in comfortable surroundings, there are deluxe rooms and a standard. On the territory of the hotel there is a new pool 25m x 10m with a bar (adult and children's areas). There is also a relaxation area with a floodlit alley and gazebos. A dining room is available within a 5-minute walk from the hotel, which offers a full board at an affordable price. Hotel "Beach" completely renovated. 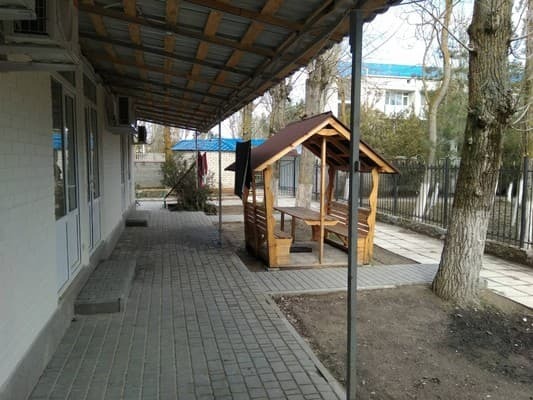 The distance to the water park in Koblevo is 600 meters. A food market is 5 minutes away. Description of the room: The room is equipped with two single beds, with all amenities. 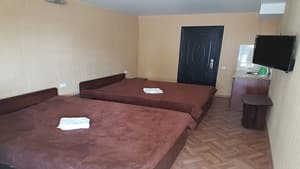 Description of the room: The room has two double beds, 3 bedside tables, wardrobe, table, TV, refrigerator, mini kitchen, air conditioning. 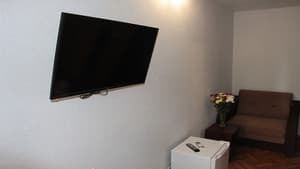 Description of the room: The room has three single beds, a separate entrance, there are 3 bedside tables, a wardrobe, TV, refrigerator, table, air conditioning. Check arrival: from 13:00 - 23:00 hours. Check leaving: to 07:00 - 10:00 hours. Children under 5 years, inclusive, can be accommodated for free without extra charge. places. 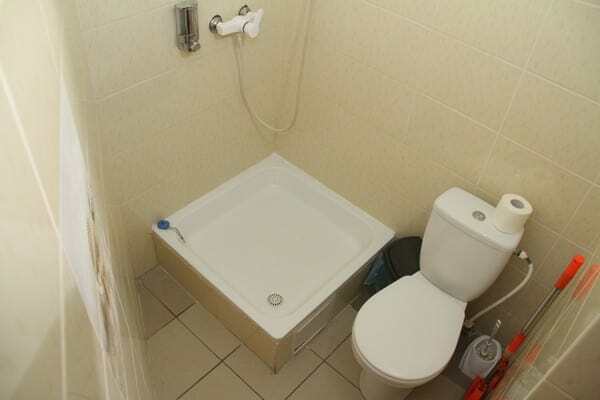 Accommodation of hand / small animals only in certain categories of rooms, from 100 UAH / day. A dining room is available within a 5-minute walk from the hotel, which offers a full board at an affordable price. To the Black Sea coast - 20 meters, to the water park in Koblevo - 600 meters. A food market is 5 minutes away. 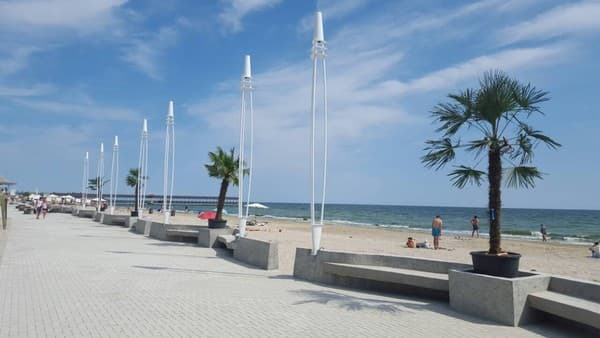 From Odessa, any regular buses and minibuses of the Nikolaevsky direction. Buses leave from the railway station (to the left of the central entrance) and from the suburban bus station Odessa - Koblevo directly to the resort area.